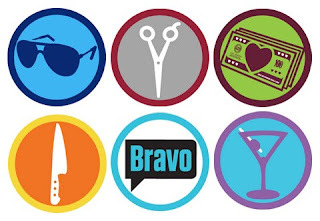 A 20-something's Perspective: Is Foursquare and Bravo TV a good match? Seems like they're getting recommendations from the "stars" of their shows and tying the badges to them. I think it's a cool idea, but seeing as the badges are big-city centric (a big criticism of Foursquare overall), it's a bit of a step back towards accessibility. I think it's a huge step forward in product awareness, though, which Foursquare needs with the likes of Gowalla, My Town and especially now Yelp adding location check-ins. Glenn, I just read an article on Mashable that offers more details. I agree with your big-city comment. On the upside, it could help tourism organizations promote their cities. Maybe the Bravo TV celebrities can incorporate local spots to tie-in some lesser known cities. It seems other networks will be joining Foursquare soon. It will be interesting to see how it all unfolds.